The modern 4-star Novotel Moscow Kievskaya hotel is ideal for business and leisure. The hotel is located in Moscow city center, opposite Kiyevskaya train station and 10 min from the Kremlin. The Evropeisky shopping center, Moscow City business center, historical Arbat and the Moskva River embankment are nearby. Guests can relax in the sauna and enjoy a massage, or use the fitness facilities and pool. The hotel offers a full range of conference services, with underground parking and free WIFI throughout. 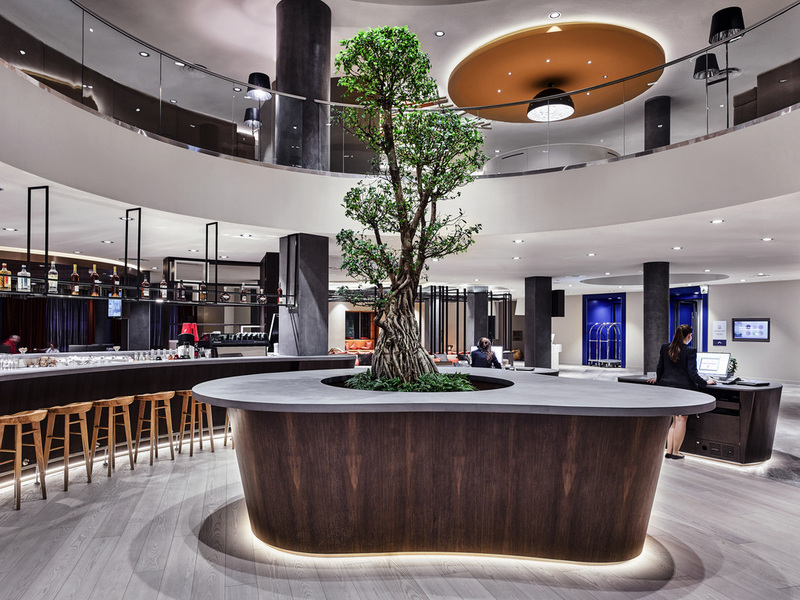 Spacious, contemporary in design and adaptable, the Novotel room is truly a place for living, perfect for all your needs. .
At the bar or in the main hall, you are surrounded by an atmosphere of high-quality service. The bar menu offers drinks for business meetings and getting together with friends. The Novotel hotel bar is open 7 days a week, 24 hours a day.